Need A Good Copywriter? Or A New Website? SEO Help? Get Creative! Whether You Need A Little Help or A Lot…We’re Here for You. Agood friend of ours (and small business owner) told us about the poor experience he was having with a local advertising agency. Because he only paid them a relatively modest monthly fee, they largely ignored him whenever he complained about the lack of results he was seeing from their efforts. That was the typical reply from the ad agency. We saw a need to help small business owners like our friend. We’re dedicated to helping people like him realize the dream of owning a successful small business by helping to get their message across to those they’re looking to reach. We also provide marketing support for businesses who may employ a full-time marketing staff and just need a little extra help bringing a big project across the finish line or help with an overloaded plate. If you need marketing support, we’ll answer the call! 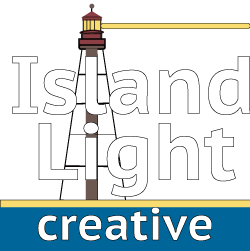 Kristoffer Stewart is President & CEO of Island Light Creative. A truly gifted individual, Kristoffer brings 10+ years of experience in publishing, marketing and sales (along with a refreshingly joyful attitude) to all of the work he does. He has authored dozens of magazine and newspaper articles, worked alongside some of the greatest business minds in companies large and small, and lives the kind of life most people only dream of. He holds college degrees in Journalism, Mass Communications and Advertising and is a graduate of the University of South Florida. Kristoffer and his family are local to Southwest Florida, having lived here since 1990. If you need marketing support, send Kristoffer a note.